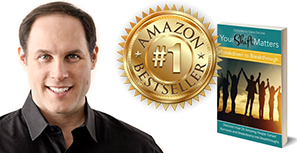 Amazon #1 Best Selling Author, TV Show Host, Author, Speaker, Movie Producer, Master Facilitator, Quantum Coach/Trainer, Creator of Quantum Energy Transformation™, Music Producer and Songwriter. With his own TV show, Joshua Bloom is a pioneer in Quantum Energy, and one of the most sought out intuitive Quantum Teachers in the world. Women from around the world heal and transform themselves; body, mind and spirit, quickly, and many times instantly with his guidance. “I help you discover ‘who you are’ at the deepest levels of energy and healing. What’s possible for you? !” — Joshua Bloom. Internationally Acclaimed Trusted Authority on Quantum Healing, the Executive Producer of the cutting edge film, “The Ultimate Answer is inside™,” and the host of the innovative and transformational TV Show, EmotionallyFree.TV. Joshua Bloom, has been featured on the front page of The Washington Post as one of the first coaches ever to be featured in the mainstream media. He has been featured internationally on both radio stations and TeleSeminars. A master in many arenas, Joshua has developed his own healing modality called Quantum Energy Transformation™, a way of being called Being Quantum™, a healing process called Age Clearing™, his own reiki modality named Being Reiki™, and an allergy elimination process called Quantum Allergy Release™. He assists his students and clients in completely releasing ailments such as fibromyalgia, pain, anxiety, fear, depression, allergies, Migraine Headaches, Attention Deficit, and much more. Additionally, he trains students to heal themselves and helps others do the same in his extraordinary Come to The Edge! Certification Program. Joshua is a Master Life and Business Coach, a Neuro-Linguistic Programming Master Practitioner, a Certified Hypnotherapist, a certified practitioner of the Emotional Freedom Techniques, a Master Teacher in Being Quantum™, Seichim and Usui Reiki, and founder of the Quantum Healing Center LLC. Joshua works with an international clientele, and he can work with you no matter where you live.